Ghost Time Games has announced Jettomero: Hero of the Universe will release on Nintendo Switch on October 4, 2018. 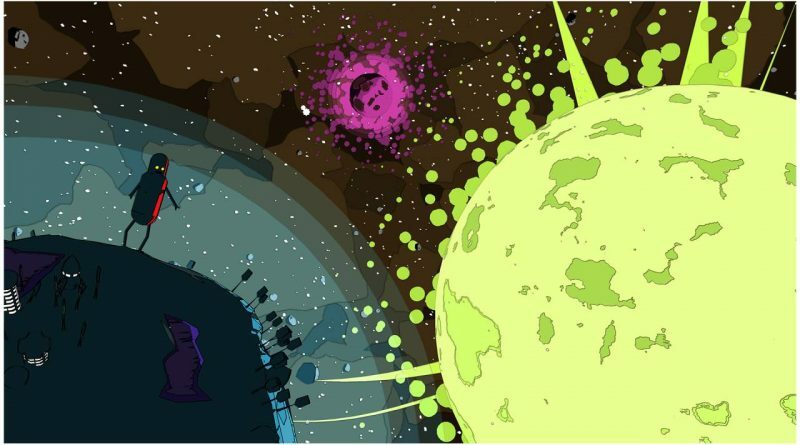 Jettomero: Hero of the Universe is a game about exploring the galaxy and trying to be a hero. Play as Jettomero, a giant, indestructible, and incredibly clumsy robot determined to save the human race. Explore a procedurally generated universe by flying through space and landing on planets while trying not to destroy everything in your path. Relax as you blast through the cosmos on a hero’s uncertain quest. Will you ever save the humans? Frame and capture the universe in photo mode using stylized filters in the game’s vibrant comic-like world.